The economic recovery in the United States has not been the same across the income spectrum. While the wealthiest 5% are doing quite well, those in the traditional “middle class” have not seen similar gains. This Wall Street Journal article “How a Two-Tier Economy Is Reshaping the U.S. Marketplace” (January 29 2015, non-subscribers click here) points out that those at the top 5% of the income scale spent an inflation adjusted 12% more from 2009 to 2012. During that same time period, the bottom 95% spent 1% less. It also reports the top 5% now account for 30% of all spending — up from 23% just twenty years earlier. The article details some of the implications for sellers of cars, houses, and beer. 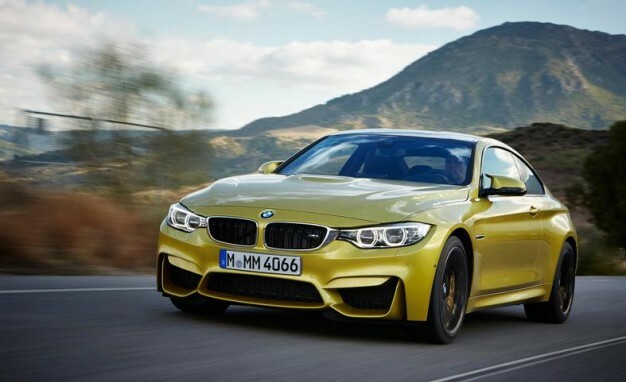 Hint, apparently that $64,000 BMW M4 (see inset photo) is a hot seller. Similar income distribution exists in China — and this has influenced the smartphone market there. Another Wall Street Journal article “In Smartphone Market, It’s Luxury or Rock Bottom” (February 1, non-subscribers click here) which describes the Chinese market, where Apple’s iPhone stands alone as a “luxury” and brands like Xiaomi (at on third the price of an iPhone with similar technical specs) dominate the low end. This story has implications for when you cover segmentation and targeting (many of these firms are now targeting premium or budget — not the middle any longer) or consumer behavior. 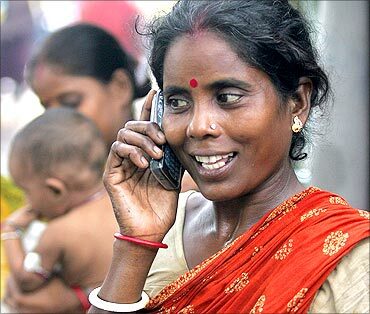 While online retailing holds great promise in developing countries like India, there remain challenges. Venture capital is flowing into this market, and some big players are fighting it out. 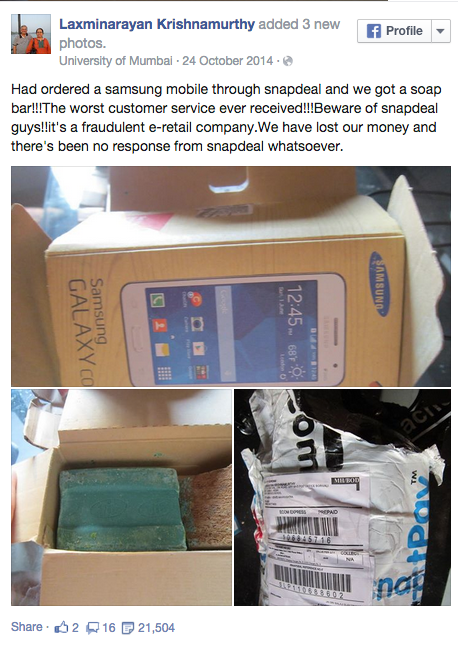 This article, “Logistics Are Holding India’s E-Commerce Companies Back” (Bloomberg Businessweek, December 15, 2014 highlights some of the logistics challenges facing e-tail startups Amazon India, Snapdeal, and Flipkart — including the story of a man who bought a phone but received a brick (see image). This article provides some examples to use when covering international issues and/or online retailing. A huge market opportunity — more than 833 million customers. Almost half of those people own a mobile phone (though most are not smart phones connected to the web. It is also true that the vast majority of these customers don’t subscribe to cable TV or the Internet. Growing distribution networks give most rural customers access to branded goods like Pepsi and Axe. So how can brands get their messages to this rural market — to build brand preference and loyalty. Some brands encourage consumers to subscribe to services that offering content designed to appeal to these customers. For example, Unilever delivers (for free) popular Bollywood music while also squeezing in ads. This Bloomberg Businessweek article “In India, Mobile Ads Mean Phone Calls” (April 17, 2014) describes the phenomena and includes specific examples and includes cost information. This article might be useful if you want international examples of alternative media when you cover advertising and promotion. 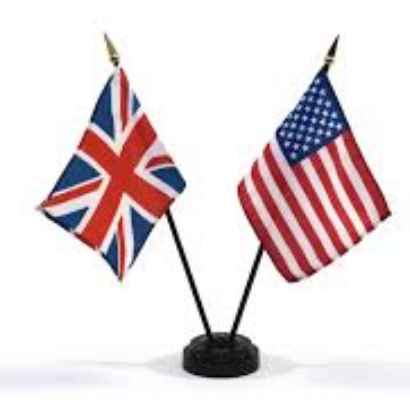 The statistics in this report might help with a discussion of cultural/national differences in consumer behavior, a discussion of word-of-mouth, or social media.